The best oregano you can grow — this is what chefs use. Highly aromatic, wonderful in a container you pass by every day. Extremely complementary flavor for tomatoes in any preparation. Also use in pasta and egg dishes, meat marinades, or sprinkle on veggies just before serving. Lends great authenticity to Greek and Italian meals, especially pizza. 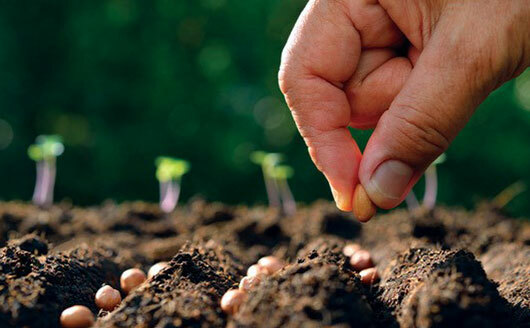 Light aids germination; make sure seed has contact with soil. Drought- and heat-tolerant, and deer-resistant.